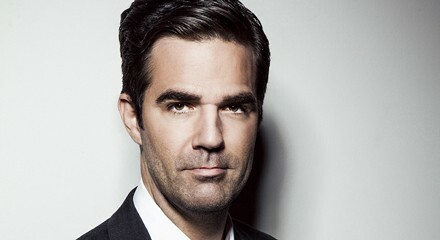 At the Music Box, comedian and Twitter savant Rob Delaney discusses his new book, Rob Delaney: Mother. Wife. Sister. Human. Warrior. Falcon. Yardstick. Turban. Cabbage., which is partially a memoir of his struggles with alcohol abuse. Kevin Warwick has more. If you're curious whether other people in other countries also spend three months celebrating Christmas, check out the Museum of Science and Industry's "Christmas Around the World" exhibit, which opens today and runs through 1/5. Jena Cutie recommends Italian dance troupe Artemis Danza's rendition of Verdi's Traviata. Check it out at the University of Chicago Logan Center for the Arts.